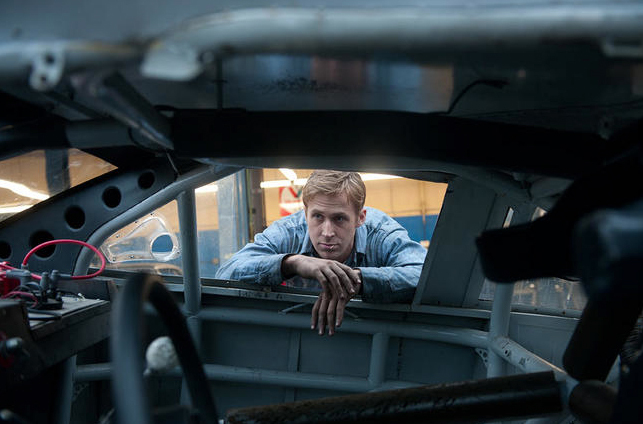 Danish Director Nicolas Winding Refn Talks the Sensation that is his 'DRIVE'! 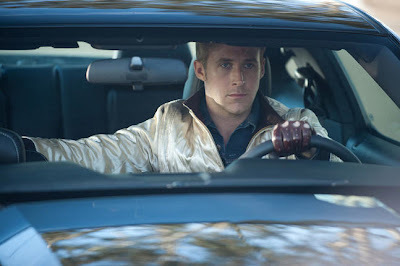 Nicolas Winding Refn's latest effort Drive is a sensation, the neo-noir fairy tale set in modern day Los Angeles that has already received critical acclaim of major film festivals like Cannes & Toronto is a wonderful contradiction. The violent action thriller, a typical Hollywood genre movie has been overrun with formalist precision & stylistic emphasis typically reserved for art movies. 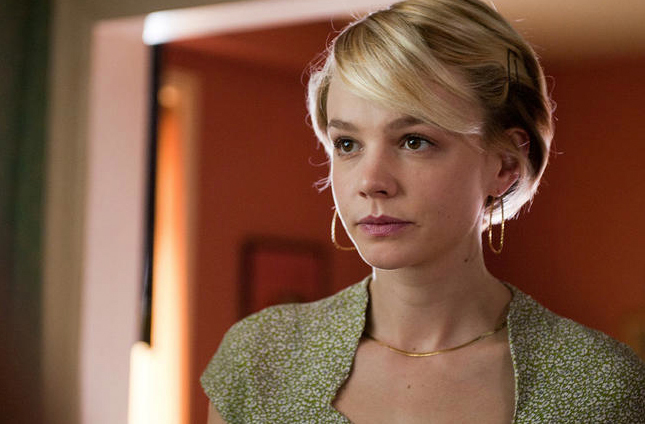 The movie which focuses on a getaway driver [Ryan Gosling] also stars Carey Mulligan, Albert Brooks & Bryan Cranston. 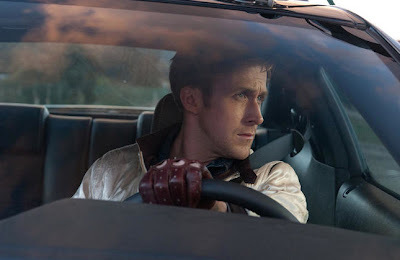 Refn, the 'Danish punk' who’d earned comparisons to Martin Scorsese by the age of 26 after the release of his debut Pusher was contacted in 2009 by Gosling to potentially helm an adaptation of James Sallis' novel Drive. The Director recently caught up with FlicksAndBits, hit the jump to check out what the director had to say. 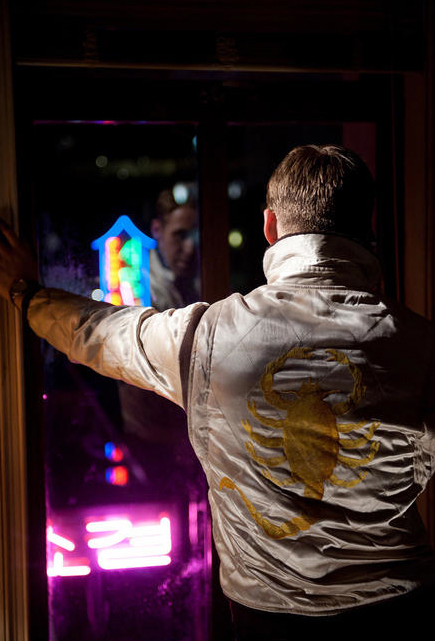 You’re mostly known for the Pusher movies, but ‘Drive’ is very reminiscent of one of your more obscure movies, ‘Fear X.’ Would you agree with that? Nicolas Winding Refn: "It is. You can say that the first wave of my filmmaking goes from ‘Pusher’ to ‘Fear X,’ with ‘Bleeder’ in-between. ‘Bleeder’ is probably my most interesting film, just because it’s the first film where I tried not to make a conventional genre movie but still work with genre elements.The love story in ‘Drive’ is very similar to the romance in ‘Bleeder‘…Nicolas Winding Refn: Yes. My mother said that. 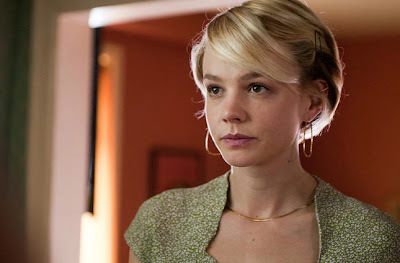 She said, “This is like ‘Bleeder’ in Hollywood.” (Laughs) Now, ‘Bleeder’ is not in any way a perfect film, but there are parallels, and there are things in it that I was able to fulfil much more strongly in ‘Drive.’ But going from ‘Pusher’ to ‘Fear X,’ that was my meltdown, both creatively, financially and everything, so I had to reinvent myself. And the Pusher Trilogy – by which I mean Pusher 2 and 3 – was basically me going back and starting from scratch in exactly the same pattern. I did Pusher 2 and 3 then I went off and did ‘Bronson,’ which is a genre film that is more theatrical in its language. Then I did ‘Valhalla Rising,’ which is very similar to ‘Fear X,’ in that it’s a trip movie. 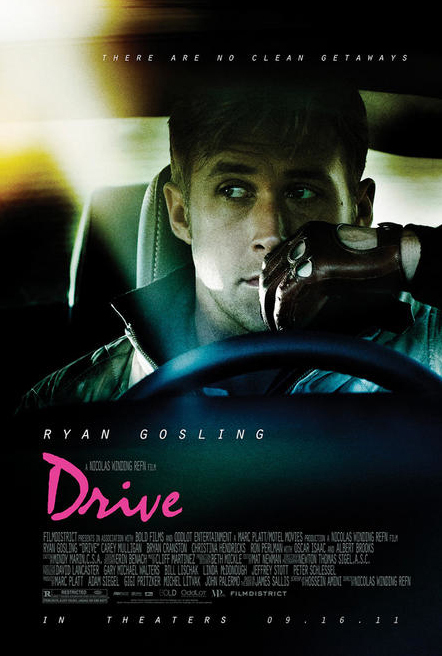 And this movie, ‘Drive’ is almost like the combination of everything before it. But this time it’s with a Hollywood movie star, in the heart of capitalistic filmmaking." Did Ryan Gosling bring the script to you? Nicolas Winding Refn: "Yeah. It was really cool. And strange. They were trying to make this film at Universal. They’d bought the book by James Sallis about eight years ago, when it was published. But they didn’t read it – they just read the reviews, which said, “Pulpy action getaway movie,” and they thought, “OK, let’s buy that.” It was 100 pages long, and they were gonna make a $60 million version of it with Hugh Jackman. Then I think they read the script and thought, “Uh-oh.” (Laughs) Because it’s a very strange, existential story about the film industry.Who wrote that original script?Nicolas Winding Refn: Hossein Amini, who’s a really good scriptwriter, had been hired by Universal at that time to adapt the book into a commercial studio film. And poor Hossein, who is such a good, classic writer – he did ‘Wings Of A Dove’ and ‘Jude’ – had been able to find an interesting structural way to tell the story, because the book jumps backwards and forwards in time and is very episodic, which works as a book but wouldn’t work as a movie. Universal, though, basically forced the book out of the script. All the stuntman stuff was out. All the movie-world stuff was out. It just became a conventional real-man, all-action summer blockbuster. But for some they kept on not wanting to finance it." How did it get to Ryan? Nicolas Winding Refn: "Ryan had read it by chance, because Marc Platt and he were trying to see if they could do a movie together. Marc Platt had been the producer assigned by Universal to do it. After Universal passed on the movie Ryan said he would do it on one condition: that he had approval of the director. So while all this was happening, I was in Los Angeles trying to get ‘The Dying Of The Light’ made with Harrison Ford, a project that continues to decompose, to this day. This was going to be a Harrison Ford spy movie, in which Harrison Ford dies at the end. That was the thing – I wanted to kill Harrison Ford – and Paul Schrader did a really good script. But it just went haywire. And then I got a call asking if I wanted to meet Ryan Gosling." 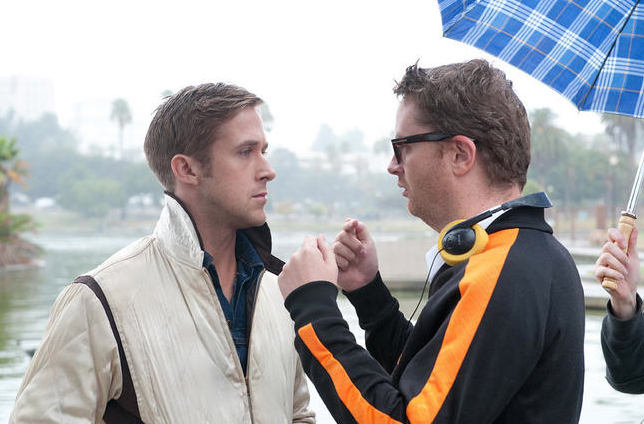 Nicolas Winding Refn: "I was only in LA for four days and I had really bad flu. I was like, “Oh, I gotta get out of bed. OK…” So I took these US meds, these anti-fever meds, which was like… smoking morphine! (Laughs) I was high as a f*cking kite! I’d had to read this script that my manager said Ryan was thinking about doing, and he set up a meeting for us. I’d read the script, but only once, and it was a bit hazy in my mind. All I remembered was that it was quite well written, technically, but that it was bit of a studio mess. So I agreed to meet with Ryan, I met him at a restaurant, and I sat next to him. But I couldn’t look at him. I just simply could not look at him." Nicolas Winding Refn: "Because I was so ill! I couldn’t move my body, I had a stiff neck and all that. And he was really trying to pitch the film to me, saying how cool it would be and how much he loved everything I’d done and referencing all the movies I’d made so far… I said, “Yeah, yeah. Would you please take me home?” Because I didn’t drive a car. (Laughs) It was like a blind date gone really bad! So we got in the car and we were driving to Santa Monica where I was staying, and Ryan turned on the radio, because the silence was unbearable. He wanted to get it over and done with really fast! And on the radio comes REO Speedwagon’s Can’t Fight This Feeling Any More. And for some reason I started singing along. And I got louder, Then I turned it up really loud. And I started to get really emotional, to tear up. And I suddenly turned to him, for the first time since we met. It was like, “Are you gonna kiss him now or what?” (Laughs) And I said, “I got it! I got it! I know what we’re gonna make! We’re gonna make a movie about a guy who drives around at night listening to pop music because that’s his emotional release!” And Ryan was like, 'Let’s do it." Nicolas Winding Refn: "I went back and read the book, because I needed to find the source material. And I f*cking loved it. It’s a f*cking, f*cking awesome book. I put the whole stuntman storyline back in and I ripped 30 pages out of the studio script until it was just 81 pages. And then we went off and made the film. But, y’know, that story is very similar to how ‘Bullitt’ got made. Because it was Steve McQueen who wanted Peter Yates to come from Britain and do ‘Bullitt’ with him. This was the same thing here." How did you cast the movie? Nicolas Winding Refn: "All the actors, except Bryan Cranston, came to my house and pitched themselves. Carey Mulligan, Albert Brooks, Ron Perlman, Christina Hendricks… They all came said, “We would love to be in this film.” I would sit in a big chair, and they would sit on my couch, and I would say, “Hmm, interesting…” (Laughs) But Bryan Cranston I had to go out and woo." Were you wary of working in LA? Nicolas Winding Refn: "Well, I am a one-man army, and here I was, going to work in the lion’s den. But there were two advantages. One, the budget was low, so there were limits to how much it could be tampered with. And two, I had Ryan as my partner. We were changing the script every single day, we shot almost no coverage, and then Cannes said they wanted it for the festival, so I had a deadline – I had to do all the post-production in three and a half months. Actually, it wasn’t until the Cannes premiere that the producers and the financiers saw the finished movie, fully." How was the premiere in Cannes? Nicolas Winding Refn: "We had a 12-minute standing ovation. I was so overwhelmed. I didn’t expect it." Were you surprised to be in competition there? Nicolas Winding Refn: "It’s interesting. When I met [Cannes artistic director] Thierry Fremaux in February – we met in LA – we talked a lot about Sam Peckinpah, and it seems like a lot of the genre directors are now being rediscovered as great artists, which they always were. Like Peckinpah. Or even George Romero. Suddenly they’re being analysed. The noir people we know about. But LA noir – and the mini-subgenre of that, which is neon noir – is something no one really knows about." The aesthetic of ‘Drive’ is very stylised and ’80s, but the structure is quiet conventional. What did you bring to the script? Nicolas Winding Refn: "The structure of the way it was made came from the fact that some years ago I started reading Grimm fairytales to my daughter. She’s at that age now – she just turned eight – when she can appreciate them. And I thought, I would love to make a movie that’s like a fairytale, because I felt that my films were moving in a much more fantastic direction. So I applied that structure to ‘Drive.’ If you look at it, it’s very minimalistic, and all the characters are these archetypes. Irene is an innocent woman in danger who needs a hero, and the hero is a knight in a satin jacket with a scorpion on his back. That scorpion, by the way, is an exact replica of the scorpion in the logo of Kenneth Anger’s film ‘Scorpio Rising." Was there as much violence in the script as there is in the finished movie? Nicolas Winding Refn: "Yes, but perhaps not as explicitly as it is in the film! (Laughs) Like the scene with Ryan and Carey that starts with a kiss in the elevator – that was something we made up halfway into shooting. Because I wanted to find a scene that was the heart of the film. That’s the scene where he transforms himself into a superhero, because that’s where he goes on to kill all the bad guys. I like the idea that the driver protects purity. He loves this woman so much that he’d rather protect her than be with her. I always thought that was an interesting dilemma for a protagonist." What’s happening in the scene where Ryan puts on a rubber mask to go after Nino? 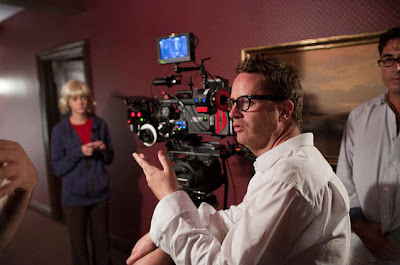 Nicolas Winding Refn: "It was actually Ryan who had this idea that we had to show a literal transformation scene. We had all these various ideas about the driver grooming himself, or changing his clothes. And then one day Ryan said, “What about a handsome mask?” I said, 'That’s a great idea." Nicolas Winding Refn: "It’s basically a mask you can buy online that makes you look like someone else. The reason we’d heard about it was because there were some bank robberies that had been committed by a guy wearing a black handsome mask. They thought they were looking for an African-American, but it was an Eastern European guy, running round doing heists. So Ryan said we should look into it." How did you come up with the score? Nicolas Winding Refn: "It basically comes from my editor Matt Newman, who’s more obsessive about these things than I am. When I told him I wanted electronic music for the movie, he knew about modern bands, and what was happening now in the electronic world, so he came in with a lot of suggestions, and I just picked the ones I liked. The only piece of music that I knew from the beginning was going to be in the movie was ‘Oh My Love,’ the opera song. It’s actually taken from an Italian movie called ‘Goodbye Uncle Tom’ [a 1971 “mondo” movie about slavery directed by Gualtiero Jacopetti and Franco Prosperi] and if you see that movie, it’s the most offensive movie ever made. I thought it was kind of interesting doing that in a Hollywood movie, because nobody knew it." Nicolas Winding Refn: "Once I figured out what kind of songs I liked – always knowing that it had to be electronic – I had my composer, Cliff Martinez, emulate the sound of those songs, and that automatically made it a kind of a retro, 80ish, synthesiser Europop thing, which in America is kind of unusual – they didn’t really get into that kind of music, ever. When I decided to go with that route, a lot of people thought it was very strange, they thought it had never really been done in American popular movies. But then I had to remind them that John Hughes did it in all the wonderful movies he made in the 80s." Nicolas Winding Refn: "LA is very much an ’80s city, it’s never left the ’80s, so it was very easy to get that retro feel. But it wasn’t an intention I went out to get – that’s just how LA actually looks." In retrospect, how would you describe the experience of making this film? Nicolas Winding Refn: "I gotta say, I had the f*cking best, best Hollywood experience. (Laughs) I lived in the Hollywood hills. I had a house with a swimming pool and an orange tree. I had assistants. I had Soho House membership. I lived under the Hollywood sign. I just needed the blow and it would have been 1974! (Laughs) I was always waiting for the knives to come out – like, when were they gonna slit my throat? And I had all these plans about how to avoid that. I was ready to go to battle. I was going to take my name off it and make an Alan Smithee movie if that was going to be the case. But nobody ever stood in my way. It was strange. It was like walking through a minefield when you know that almost everyone else who’s walked through it has been blown up. And then you get across, you look back, and you just think, “Wow.” So it’s not impossible. And when the Hollywood system works, I think it’s probably the best possible scenario. Because if you look back at the 30s and 40s, when all the Europeans came to Hollywood, it was a golden age of cinema." Nicolas Winding Refn: "Ryan and I are doing ‘Logan’s Run,’ but before that I’m going to Bangkok to start shooting ‘Only God Forgives,’ with Kristin Scott Thomas. I have a two-picture deal with Wild Bunch, and this is the first one. I’m going to write, produce and direct it." Nicolas Winding Refn: "It’s about a man who thinks he’s god and a gangster looking for a religion to believe in. And to settle their differences they’re going to fight it out in a Thai boxing match." I'm reading: Danish Director Nicolas Winding Refn Talks the Sensation that is his 'DRIVE'!Tweet this!